The federal government will appeal a March 21 court injunction that lets authorized patients temporarily keep growing their own medical marijuana past April 1, when the old system was to be outlawed. 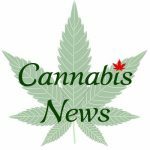 The move by Health Canada keeps thousands of medical marijuana users off balance as to how long they can continue home growing under personal production licences. They had been under a federal directive to stop growing, destroy any unused pot and confirm in writing by April 30 they had done so or face potential police enforcement. Users behind a constitutional challenge of the new medical marijuana rules fear higher prices and lower quality pot under the new system of regulated commercial producers. It’s unclear how quickly an appeal of the injunction will be heard, but the broader case is expected to go to trial sometime this year. Health Minister Rona Ambrose said Monday she is working with organizations of health professionals to address their concerns about the lack of dosage guidelines and appropriate health cautions for medical marijuana use. “They want clearer guidance on safety and effectiveness and want authorizations to be monitored,” Ambrose said. She said it’s expected new measures and direction on dosage, educational materials and increased oversight will cut the risk of patients being harmed by being over-prescribed medical pot. Regulators will get data from licensed producers on how much pot each doctor prescribes to patients. Youth are especially susceptible to potential risks from marijuana use, according to Health Canada, which lists damage to mental function and mental health, including psychosis and schizophrenia. Sensible BC is planning an April 1 day of protest against the medical marijuana changes. Organizer Dana Larsen welcomed Ottawa’s move to provide more information on marijuana to doctors and nurses, but remained sharply critical of the planned shift to commercial production. Various municipalities opposed the outgoing system of letting users grow their own pot or have other designated growers do it for them, citing fire and other safety risks. The injunction doesn’t stop the launch of new commercial pot producers, but it may reduce the initial size of their market if many users don’t have to start buying from them.